The Brief: This meme uses a scene from The Incredibles to make fun of people for jumping to conclusions. 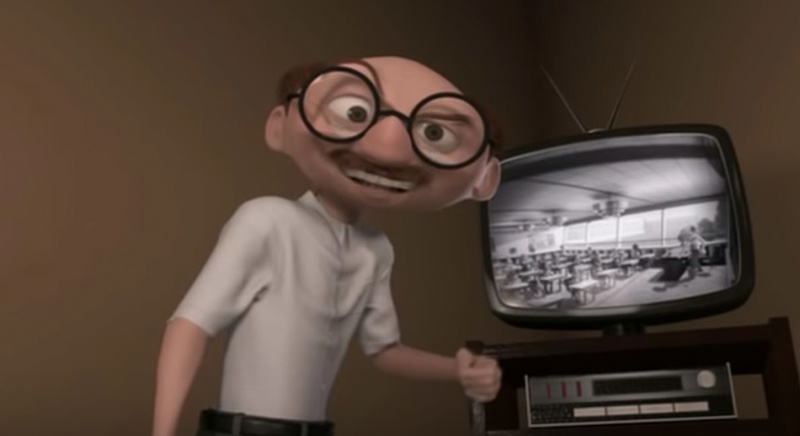 This image macro meme uses a still from a scene in The Incredibles (2004) where Dash’s teacher accuses him of placing a thumbtack on his chair. Pointing to a moment in hidden camera security footage where Dash moves slightly just before the tack appears on the chair, the teacher says “coincidence? I think not!” Although ultimately he is right to accuse Dash, the teacher has some crazed-conspiracy theorist vibes similar to those in Charlie Day’s map conspiracy theory memes. This meme is often used to make fun of parents and other authority figures for making fallacious connections between kids’ behavior and negative things that happen. It can also be applied to other subjects and instances where people draw conclusions or develop conspiracy theories. These memes are particularly popular on Reddit and on the Dank Memes subreddit. Presumably, many of them are made by teenagers looking to poke fun at seemingly overdramatic concerns from their parents and teachers. Are cell phones the source of all major ailments?